It comes as no surprise that Alabama is one of the more popular states for retirement once you take a look at the scenic natural landscapes, perfect climate, and the plethora of activities to explore and experience all over the state. This state has some of the most beautiful and varied ecosystems that can be found in the South, as well as its bountiful culture and history. There are also lots of diverse food options, which will be a great news for retirees, as it allows them to enjoy mouthwatering nourishment consisting of great barbeque, fresh produce, and foods, including some delicious sweets. While all of this information might be enough to make you pack your bags and leave - it’s only the start of what Alabama has to offer its residents! Next is the low cost of assisted living in this state, allowing for an affordable place where you can spend your golden years, in addition to being one of the best tax-friendly states in the nation. If you came here looking for information about the senior living costs in Alabama, including the facilities and benefits it has to offer – you’ve come to the right place! Here, at Assisted Living Facilities, we have collected the most important information that can be found on the Web regarding the senior living options available, be it independent living or nursing care. There’s also plenty of information regarding the many support systems that have been put in place, as well as the amenities that each senior living provider has to offer. If you are interested in a specific location in Alabama, feel free to use our list of cities below and find the closest senior living option to the city of your choice. When compared with other states in the nation, the cost of living in Alabama is lower. The living index stands at only 92 when compared to the national average of 100. Alabama’s healthcare index is also low, standing at 91, while the housing index is only 77. This all supports the fact that Alabama is a good choice for affordable retirement in the U.S. The three cities with the largest concentration of senior living options in Alabama are Birmingham, Montgomery, and Mobile. Now that we have taken care of the general information, let’s take a look at the monthly costs of living in Alabama. 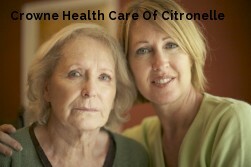 Home healthcare has an average monthly cost of $3,213. The services provided by home healthcare allow seniors to live in the comfort of their own homes while a designated aide provides assistance with housecleaning, daily tasks competition, and meal preparation, among other things. Seniors in need of health care during the day will be happy to find out that the average monthly costs for adult daycare facilities in Alabama are decently low when compared to other states in the nation. 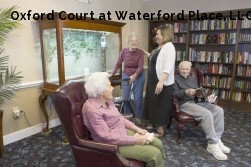 The average costs for adult daycare is only $563 per month, and for this price seniors will be able to stay at a senior community during the daytime, all the while receiving supervision, and some may even offer therapeutic and health services as well, including access to social activities. Do keep in mind that while some may offer some basic health services, they aren’t a substitute for ‘round the clock nursing care. Last but not least, seniors that are in dire need of extensive nursing care and supervision are advised to use the services provided by the many nursing homecare facilities in Alabama. Semi-private rooms have an average monthly cost of roughly $6,083, while seniors that prefer more privacy can opt for a private room for the average monthly cost of $6,464. No matter which room choice seniors choose, apart from housing, they will all be provided help with personal care, medication administration, ‘round the clock safety supervision and skilled nursing care, including various therapies and rehabilitation. When compared with states like California where nursing homecare can get as high as $9,703, the average costs for nursing homecare in Alabama are rather affordable. When considering a place to retire to, it’s wise to find out which kinds of benefits will be available for you, apart from the living costs. Keep reading below to discover some of the benefits that Alabama has to offer its residents and seniors and see if they are to your liking. Alabama has hot summers and mild winters, and the precipitation in this state is high throughout the whole year. Almost no one takes pleasure in extreme winter conditions, which makes Alabama’s moderate climate a perfect place to retire to. While summers can get rather hot, it’s still comfortable as it’s not as humid as to make you feel bad during the day, and it’s beneficial for people suffering from arthritis. The coastline areas in Alabama usually have an average temperature of 60 degrees Fahrenheit during winter, and it rarely drops below 40 degrees Fahrenheit. These temperature fluctuations allow for a greater enjoyment in seasonal changes. Another worth-noting feature of Alabama are its historic towns and white sand beaches. If instead, you’re into the arts and culture, further inland in Alabama can be found the lovely small town of Auburn, famous for its football exploits, the bohemian town of Fairhope boasting a large number of galleries to enjoy in. If you’re looking for a more watery experience, Alabama has lots of cruise and dolphin sighting opportunities on offer as well. While Alabama has a plethora of social activities and opportunities to offer its citizens and visitors, the senior living communities have lots to offer in this field as well, in the form of many amenities that are built into them. The low tax rates in Alabama are famous among retirees. While the state does include an income tax, it is one of the lowest in the nation, as it is only 5%. Additionally, seniors aged 65+ won’t have to worry about Social Security or pension income taxes, and, after they die, their families won’t have to pay any state estate and inheritance taxes that aren’t already required by the government. As we stated before, senior healthcare in Alabama is significantly more affordable when compared to other states in the nation, as the state has lots of programs that offer financial assistance for the senior population. The Medicaid State Plan provides costs coverage for nursing homecare as well as some personal assistance at home. Apart from the Medicaid State Plan, Alabama has two more Medicaid assistance programs available. The first one is the Elderly & Disabled Medicaid Waiver, whose purpose is helping seniors continue living in their own homes for as long as possible before needing to be placed in a nursing home. The services provided by this plan include help with personal care, adult daycare, meals home delivery, respite care, and much more. Seniors that are presently living in a nursing home can make use of the Alabama Independent Living Medicaid Waiver which is designed to help disabled seniors moving back in their own homes instead of using the services of nursing homecare. The Personal Choices Program is available in seven counties of Western Alabama and two counties in Southern Alabama, providing seniors and disabled people with services offered under the E&D Waiver or the SAIL Waiver, in addition, to be able to manage their own care providers. Alabama doesn’t have any non-Medicaid financial assistance programs for seniors, but it does provide financial help for senior residents in terms of reduced home heating and cooling bills, as well as nutritious meals and transformation assistance – all of them paid for by the Older Americans Act. Alabama has plenty of senior living options to offer its current and prospective residents, and they include independent living, assisted living, memory care, and nursing homecare, depending on each individual’s needs and personal preferences. Each of these senior living options is further elaborated down below, where you will be able to more about what they have to offer in terms of services and amenities provided, along with their costs. There are 68 independent living communities available in Alabama which operate statewide which are also within a walking distance of shopping malls, restaurants, and art galleries. Independent living communities are a perfect senior living option for seniors that are healthy and active, without the need of ‘round the clock nursing care. Seniors that prefer apartment style living will be pleased to know that Alabama has lots of senior apartments for seniors aged 55+. They come in many variations, offering for both luxury and low-budged living, and all of them offer a plethora of amenities and social activities for their residents to take advantage of. Furthermore, there are plenty of active senior communities where seniors can spend their golden years among their peers. The Springs of Mill Lakes, located in Opelika, Alabama is one of the best active senior communities that offers resort style living surrounded by nature from all sides. Additionally, Opelika was ranked among the 25 Best Places to Retire in America by the Forbes Magazine. Lots of active senior communities have many useful amenities to offer their residents, like gyms, fishing lakes, walking and hiking trails, meeting rooms, clubhouses, and much more. Having a large number of senior residents, it is expected that Alabama has many assisted living options for seniors that choose Alabama for retirement. In the best-case scenario, apart from help with day-to-day activities and personal care, assisted living facilities should make you feel like you never left the comfort of your home with the help of social activities, experienced caregivers, quality healthcare, and access to local activities and entertainment venues. As we said before, the average monthly costs for assisted living facilities in Alabama are roughly $3,057, making it lower than the states neighboring Alabama. Also, the average assisted living costs in Alabama are lower than the national average. These facilities provide their residents with everything they might need to make their stay as comfortable as possible. While amenities might be different from one place to another, in general, they all provide help with housekeeping, laundry services, personal transportation, meal preparation, including ‘round the clock safety surveillance and staff to ensure the safety of the residents. In order to provide a high-quality senior care in memory care centers, it’s very important to have an adequate number of staff members that can accommodate the residents’ needs and make their stay as safe and comfortable as possible. This is one of the reasons why memory care centers have a higher cost compared to other forms of senior care. The overall costs are also dependent on other factors such as the size and level of privacy in the rooms (semi-private or private rooms), the locations of the facilities, and the level of care required by the residents. Memory care centers provide ‘round the clock supervised care that also includes nutritious meals, various social activities, and constant health monitoring for the residents in these facilities. Seniors residing in memory care centers will also be provided help with housekeeping, laundry services, health management, social and local activities, personal care, as well as various exercise and physical therapy programs. 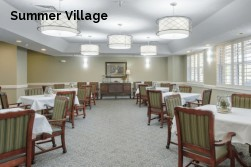 The facilities where memory care centers are located at are specially designed and equipped so as to minimize the risk of residents wandering off and getting lost – something that is common among people afflicted with Alzheimer’s, dementia, or dementia-related ailments. Additionally, the staff members will provide emotional support for seniors that fall into mental breakdown due to memory loss and return them to their rooms should they get lost. They will also help them with their daily medications, bathing, personal grooming, eating, and other day-to-day activities. Seniors that have an advanced form of dementia will be provided with long-term medical care in a supervised environment. 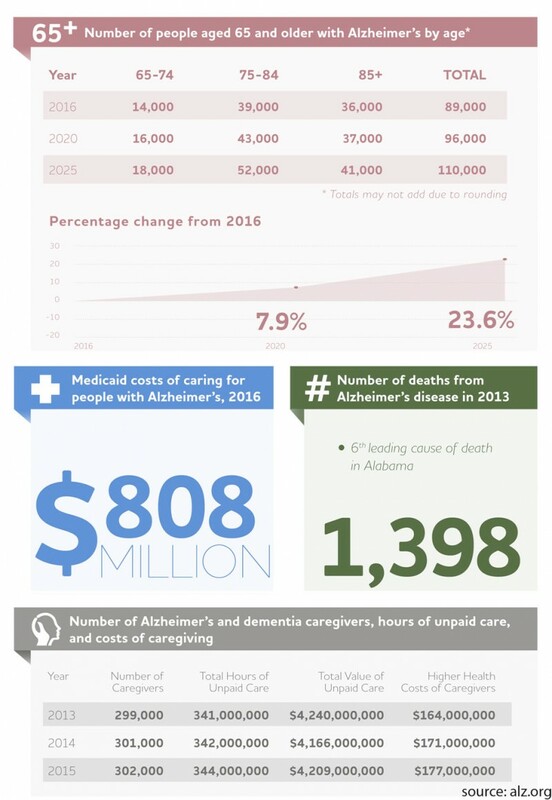 Because Alabama has state-of-the-art medical facilities and highly educated staff members, seniors using the services provided by memory care centers should rest assured that they will be provided with the best care needed to alleviate the symptoms brought upon by dementia and Alzheimer’s disease. A great number of memory care communities are located in metropolitan areas like Birmingham, Huntsville, and Montgomery. If prospective residents prefer living in smaller towns, there are plenty of options in those areas as well. 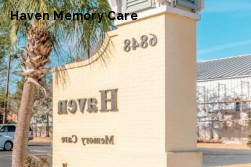 The costs for memory care in Alabama are closely connected with the location where they are located at. To give you an example of this, the most affordable memory care centers in Alabama are located in the vicinity of Gadsden, where the average costs can range anywhere from as low as $2,888 to as high as $5,074. On the other hand, the most expensive memory care centers can be found in larger metropolitan areas like Anniston, Oxford, and Jacksonville, where the average monthly costs can range anywhere between $3,259 and up to $10,765. There are a plethora of nursing homes available in Alabama, be it adult daycare, skilled nursing care, hospice care, or respite care, so seniors and their families can rest assured that they will be able to find the right one for them without too much trouble. Adult daycare provides temporary housing for seniors during the daytime, and they offer many fun activities that will keep their residents busy like music therapy, art therapy, and much more. Seniors residing in these facilities will be provided with 24/7 safety supervision, health monitoring, nutritious meals, physical exercise, and much more – all provided by the attentive staff at these facilities. People suffering from dementia, Alzheimer’s, strokes, PTSD, or brain tumors can all use the services provided by these types of nursing homes present in Alabama. While average costs may vary depending on location and other factors mentioned before, the overall monthly costs for adult daycare centers in Alabama come at roughly $563. Whenever someone gets diagnosed with terminal illness, him/her or their families will surely want the remainder of their life to be filled with as much joy and comfort as possible. All of this and much more is provided by the many hospice care facilities in Alabama. Hospice care facilities specialize in providing end-of-life care, allowing terminally ill people to live out the remained or their lives with as much dignity and love possible. 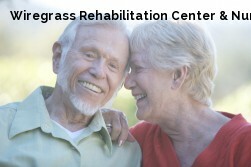 The attentive staff employed at these facilities will provide their residents with all the required medications to minimize the pain brought upon by the illness, as well as offer grief support for both the resident and his family, allowing them to get through these trying times as happy and pain-free as possible. There are 158 hospice care facilities operating throughout Alabama, and the costs associated with them are usually covered by Medicare, Medicaid, and most private insurances. Additionally, the administrative staff at hospice care facilities will provide assistance with the paperwork required to qualify each potential resident for full or partial costs coverage. Last but not least, Alabama is home to over 61 respite care facilities which operate with the goal of providing temporary care and housing for handicapped, dependent, or ill seniors. 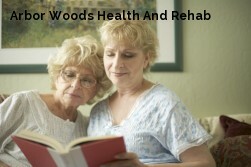 In addition to providing care for said seniors, these services are welcomed by primary caregivers which will surely benefit from having some time off to take care of their own daily obligations, or simply take some time to rest and recuperate, all the while staving off caregiver burnout which can lead to depression or severe exhaustion. Respite care facilities offer their residents with all the amenities and services usually provided by nursing homecare, including three nutritious meals on a daily basis, help with housekeeping and laundry, social and local activities, personal transportation, personal care, health monitoring, as well as ‘round the clock safety supervision. These services can be used for a few hours daily, several weeks or months on end, or even indefinitely. Additionally, in cases when all respite care facilities are operating at full capacity, many assisted living facilities or memory care centers will provide these services as well. The average price for respite care facilities in Alabama can range anywhere from as low as $1,500 to as high as $7,475 per month, a price dependent on a variety of factors like location and level of care provided, to name a few. 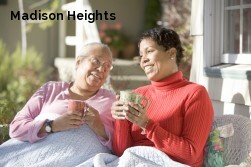 Assisted-living-facilities.net will help you to find the best quality Assisted Living facilities in Alabama. You can also find skilled nursing, memory care facilities, retirement communities and assisted living regulations in Alabama. Here you can compare ratings and check prices and costs for assisted living. Read reviews and more, with the best directory for Assisted Living Facilities. The state of Alabama has 717 assisted living facilities. If you're searching for information about assisted living communities in Alabama, you need to look no further! Assisted-living-facilities.net will provide you with the most comprehensive information about the number of 717 assisted living facilities for seniors that are currently available in Alabama. The assisted living services available in Alabama include in-home residential and assisted living situations, nursing homes, retirement communities, adult day care, and a range of independent living situations, you can also find Alzheimer's and hospice care. 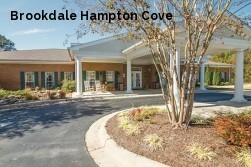 Searching in Assisted-living-facilities.net to find information about Alabama's assisted living communities is simple! You can use the site in these ways to search and find the assisted living facility or community that is the right one for your needs, and allows you or to your loved one, to live close to friends and family and to enjoy fully. Getting all the support of the amenities that Alabama has to offer. The average monthly starting costs for assisted living facilities in Alabama (higher for residents requiring memory care) starts and depends on the level of care the resident. The average monthly cost of assisted living in Alabama starts from $1,700 to $4,300.